or What Do Boston’s African American, Women, and Irish Writers Have in Common? PHILLIS WHEATLEY (1753–1784) to the Reverend Samuel Hopkins (1721–1803). THOMAS JEFFERSON, Notes on the State of Virginia, London: Printed for John Stockdale, 1786. FREDERICK DOUGLASS (1818–1895), The Heroic Slave, in Autographs for Freedom, Julia Griffiths, Editor, Boston: JP Jewett and Company, 1853. 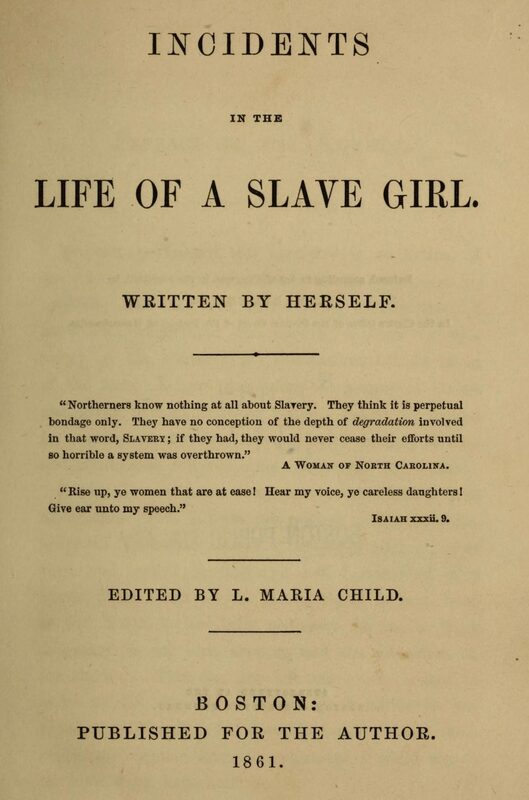 LINDA BRENT (HARRIET JACOBS; 1813–1897), Incidents in the Life of a Slave Girl, Written by Herself, L. Maria Child, Editor, Boston: Published for the Author, 1861. JUDITH SARGENT MURRAY (1751–1820), “Observations on Female Abilities, Further Continuation,” The Gleaner, vol. 3, Boston: I. Thomas and E. T. Andrews, 1798. JUDITH SARGENT MURRAY, “Preface to the Reader,” The Gleaner, vol. 1, Boston: I. Thomas and E. T. Andrews, 1798. SARAH MARGARET FULLER, Woman in the Nineteenth Century, New York: Greeley and McElrath, 1845. AUGUSTINE JOSEPH HICKEY DUGANNE (1823–84), Parnassus in pillory: A Satire by Mottley Manners, Esquire, New York: Adriance, Sherman & Co., 1851. BISHOP BENEDICT J. FENWICK, S.J. (1782–1846), Jesuit or Catholic Sentinel, September 5, 1829, Boston: H. L. Devereux. GEORGE PEPPER, “The Sentinel,” Literary and Catholic Sentinel, January 3, 1835, Boston: H. L. Devereux.